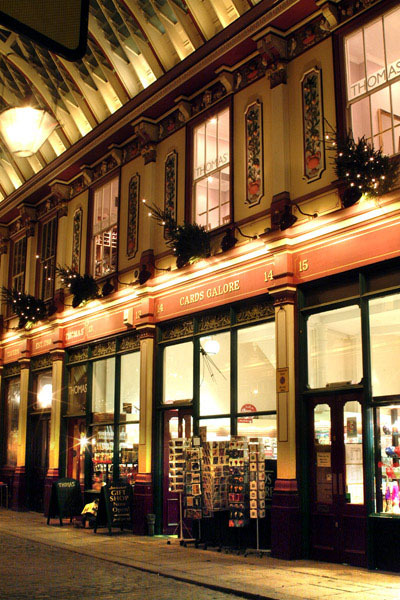 No market in the world contrasts more with its setting than Leadenhall Market. 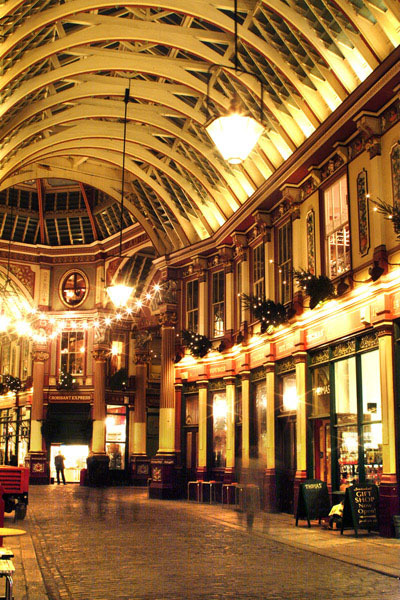 No market in the world contrasts more with its setting than Leadenhall Market. South Street Seaport comes close, though itÍs a bit contrived. Leadenhall, however, is the real deal, having been in operation for 122 years (although some form of food market has been on this site since the Middle Ages). 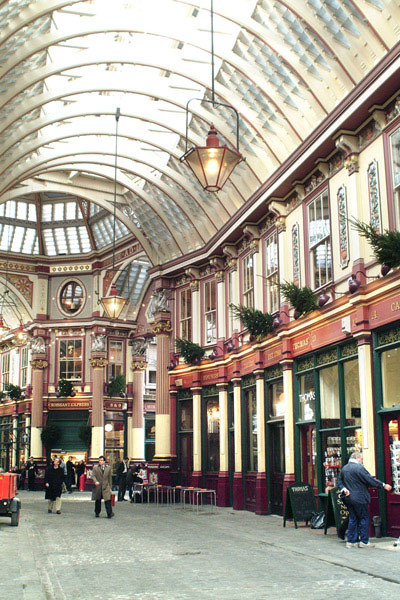 But the marvel of Leadenhall is that it is has survived in an environment of urban devastation. The contrast has only gotten worse with new development. We feel strongly that contemporary design, with its array of materials, could be wonderfully contextual; yet architecture in the "City" is about empty, blank building bases with reflective glass and heavy columns. New retail and storefront design, practiced all over London and in other great cities, has not, unfortunately, carried over into new development in the "City" _ or for that matter, in Canary Wharf.